A study published Thursday in Science shed new light on the patterns of extraterrestrial impact the Earth has been subjected to in the last billion or so years of its existence. In an interesting twist, the answer wasn't found by looking for Earth craters at all, but moon craters. The problem with studying really old craters on Earth is that, for the most part, they just aren't there. However, the moon takes just as many hits as we do, but doesn't have the disruptive weather and geological patterns the Earth does, so evidence of its pummelling by space rocks lasts much longer. "The only obstacle to doing this has been finding an accurate way to date large craters on the moon," William Bottke, study co-author and asteroid expert at the Southwest Research Institute, said in a Thursday statement. Using data from NASA's Lunar Reconnaissance Orbiter, they were able to determine the rate that craters break down and — surprise! — the problem isn't that the older craters are hard to find, it's that they were never there to begin with. There's just plain fewer of them. The study compiled a list of asteroid strikes on both bodies that created craters wider than 12 miles across and assigned them dates. 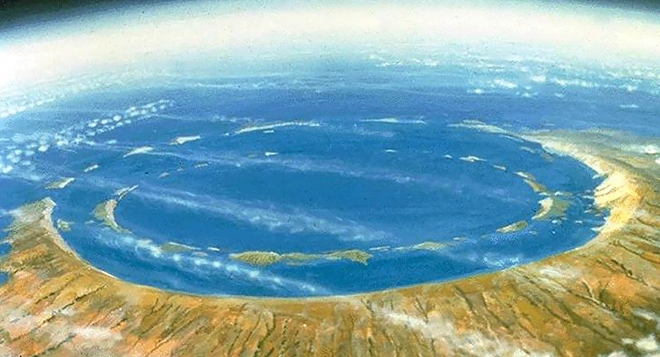 Researchers found 29 craters formed less than 290 million years ago and nine between 291 and 650 million years ago. By accounting for craters that would presently be underwater or erased by Earth forces, they concluded there should have been 260 big meteor hits in the last 290 million years, which is 2.6 times more often than in the prior period. It's still, thankfully, a rate of slightly less than one big hit per million years. The most recent crater of this size is most likely that which formed Karakul, a lake at the bottom of a 32 mile-wide impact crater in the mountains of Tajikistan, variously dated between 2.6 million to 25 million years ago, according to a 1993 paper in Lunar and Planetary Science. "It's just a game of probabilities," the study's lead author, Sara Mazrouei, told The Hill, noting that a series of large collisions in the Asteroid Belt, between Mars and Jupiter, could be to blame for the increase. "These events are still rare and far between that I'm not too worried about it."